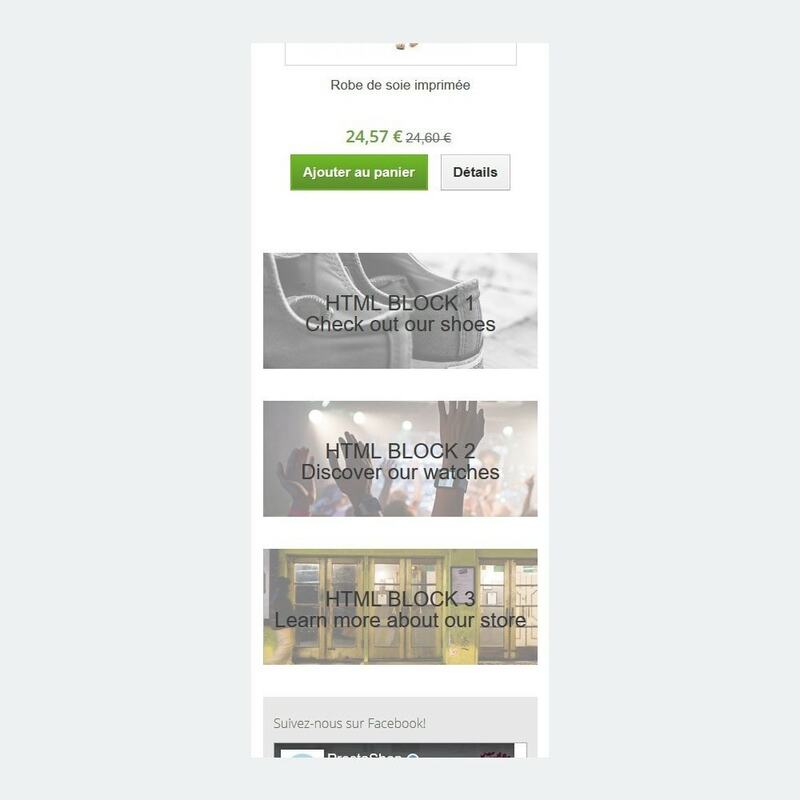 Improve the visibility of your products, promotions or any other highlighted informations through the "Custom Blocks " module! Simply create your own customized content, add pictures, videos, to any location of your shop. With the " Custom blocks" add-on, you can easily create your own custom content to highlight your products or promotions, for example. 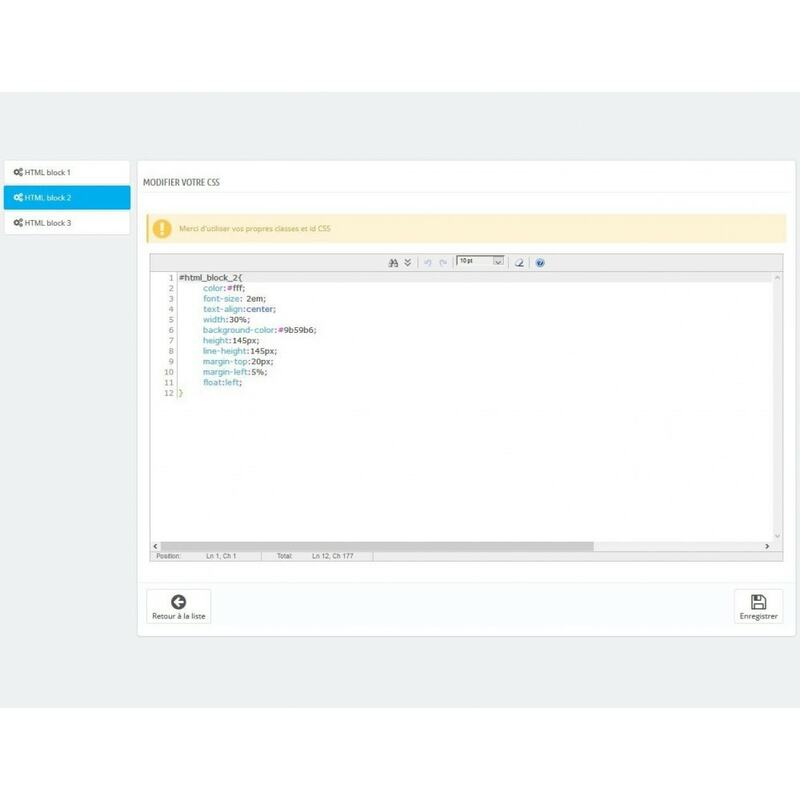 A WYSIWYG editor and CSS allows you to personalize the content of your blocks . The "Custom Blocks" add-on allows you to create an unlimited number of content blocks. 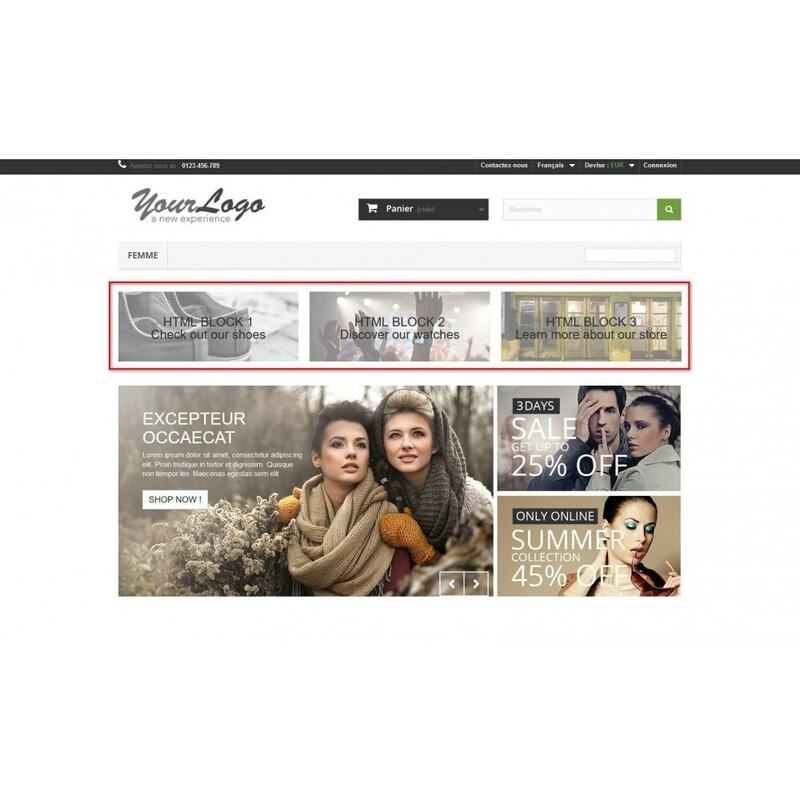 The display of each block can be restricted to a specific group of customers, at a specific time (ideal for promotions) , to a specific page ... This will give visibility to specific content only where you want. The "Custom Blocks" add-on is compatible with the multi-shop Prestashop mode. You can create different blocks per store. 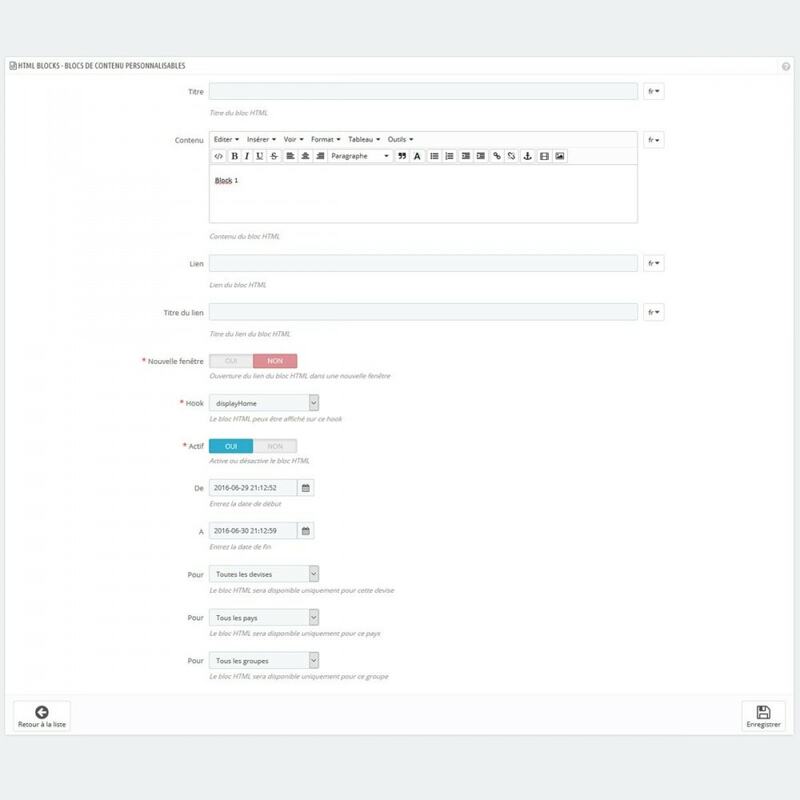 With multilingual support, customize each of your content to your various visitors and customers! 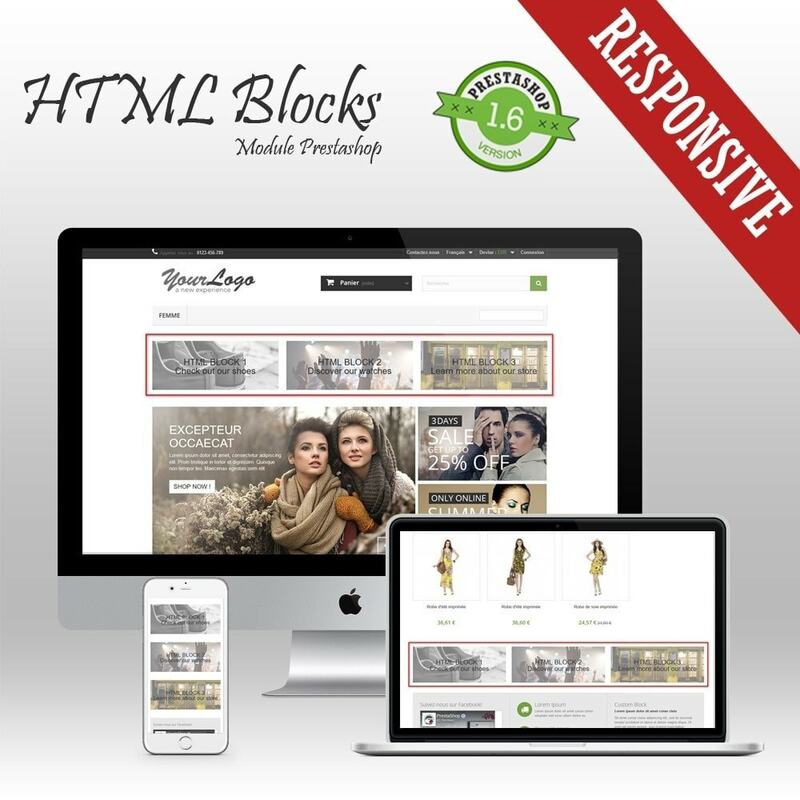 The Custom Blocks Prestashop add-on uses the Responsive Design technology. So, it fit on smartphones and tablets. The Custom Blocks Prestashop add-on is W3C compliant. 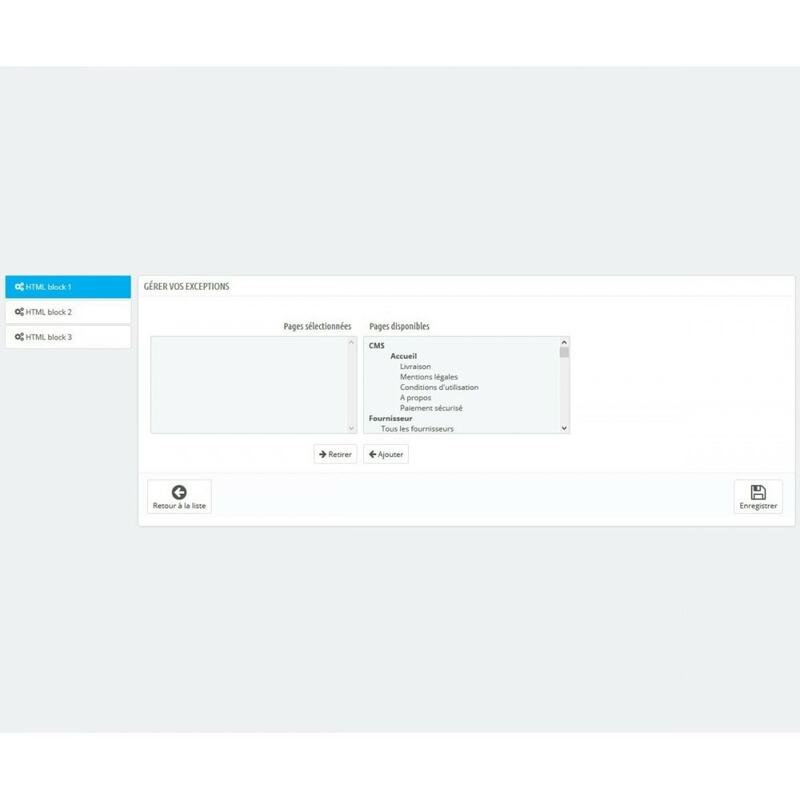 The "Custom Blocks" module allows your customers to more easily find all important information about your store, whether a particular product or a period of promotions. The Custom blocks Prestashop add-on can be installed in the same way that any Prestashop add-on. Either by uploading directory of the Custom blocks Prestashop add-on, via the FTP protocol, in the "module" directory of your installation. 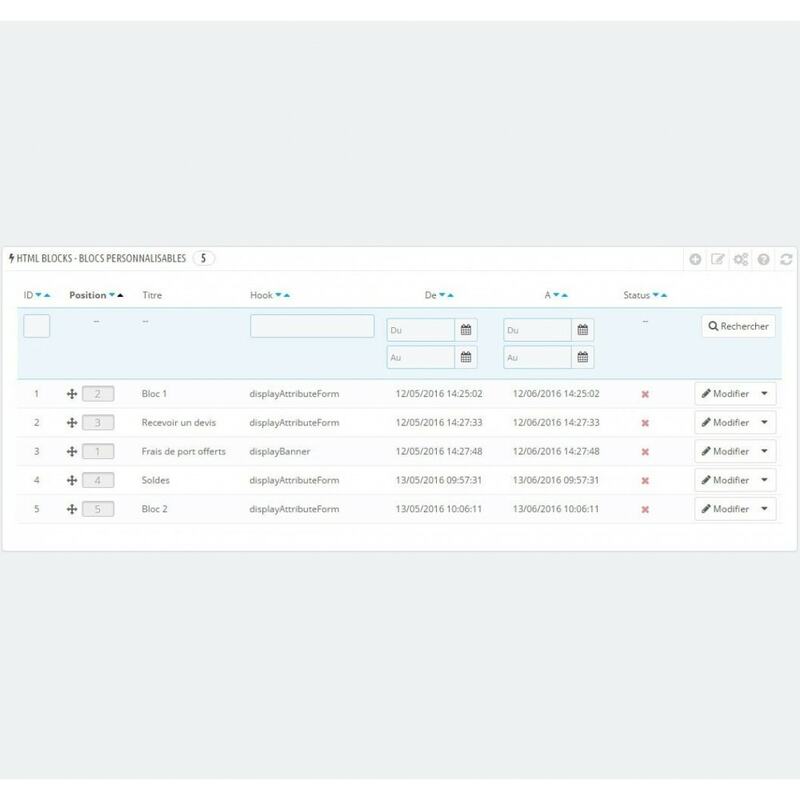 Or by using the "Modules" tab of the back office of your shop. For more information, see the documentation provided (readme_en.pdf file).